No matter what is happening in the world — political uprisings, wars, refugees, car accidents, you name it — they are still less fatal than high blood pressure. In fact, high blood pressure (also called hypertension) remains the largest attributable risk factor for mortality worldwide (followed by diabetes and then other cardiovascular diseases). In fact, high blood pressure is a warning of more serious cardiovascular problems. But most people with high blood pressure avoid taking their pills because of the adverse effects of the prescriptions, particularly what is often described by the “drugged up” feeling, anxiety and depression … and much, much worse. And who wants that!? Sidebar: For adults, normal blood pressure reading should be around 120/80 (systolic/diastolic). 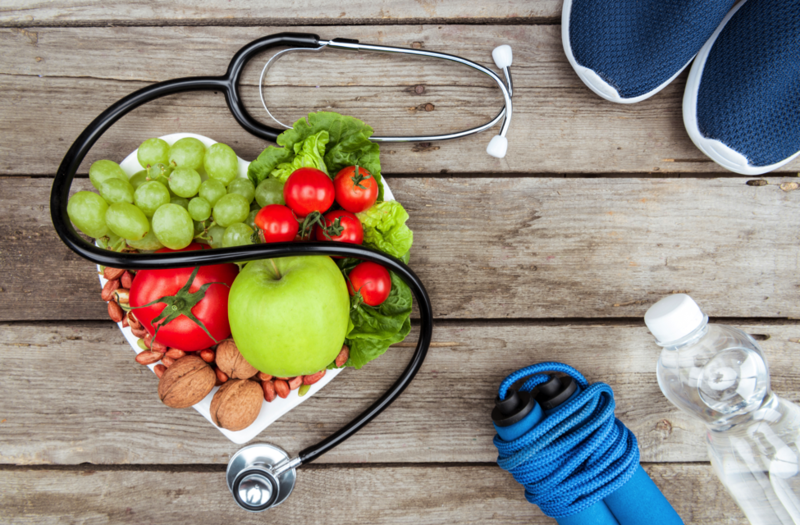 As you already know, practically every pharmacy in America and Canada has a blood-pressure monitoring station, and nearly every grocery store has a pharmacy — this means that high blood pressure is one of the most easily diagnosed and monitored health issues. Despite this, high blood pressure is STILL both a condition which damages blood vessels, and also the most common indicator of an impending serious (even deadly) health condition! And, here we are again … ‘modern’ medicine prescribing medications to abate symptoms rather than addressing underlying causes. It simply blows my mind — why does conventional medicine give so much thought to passing out the drugs to artificially lower high blood pressure, and give SO little thought to prescribing simple (and delicious) changes to dietary habits? I’ll let you come to your own conclusions. But, let’s take a look at some of the reported literature (including studies) that finds that fruits and vegetables (and their juices!) have quick and direct beneficial effects on our cardiovascular systems! This one from 2014 wanted to discover what actually happened when they compared eating cooked fruits and vegetables to consuming raw fruits and vegetables, and particularly investigated benefits to blood pressure. It discovered that when it comes to nutrient absorption, participants received more from the plant when it was lightly cooked, and interestingly speculate that it’s because of the breakdown in fiber. If they’re right, then a similar (or greater) health benefit can be gained from juicing fruits and vegetables. However, they also found that there was an even greater inverse relationship between raw vegetable intake and high blood pressure than that of cooked vegetables. This means that raw fruits and vegetables correlated to lower blood pressure. Although the researchers do not conclude why this occurred, my personal belief is that ‘heat-treating’ (including pasteurizing) fruits and vegetables destroys enzymes and other micro-nutrients, which, incidentally are also preserved in cold-pressed juicing. So, where do many of these cardiovascular ailments come from? From arterial deposit formation in arteries, to the thickening of blood, the presence of blood clots, the hardening of the arteries (arteriosclerosis), to high blood pressure, diet plays an important role. This can include not only ‘unhealthy’ diets, but flat-out dangerous ones as well. From too much processed sodium, to a lack of essential minerals and electrolytes, to smoking, alcohol abuse, or poor lymph elimination – they’re all risk-factors that can lead to dangerous cardiovascular conditions. As your blood stream becomes sluggish, and the arteries become lined with excessive substances, the heart moves your blood faster so that you don’t lose your access to oxygen and nutrients. But, it doesn’t stop with the heart. The kidneys also react to the heart’s stress. And, amazingly, stress on the kidneys can also cause high blood pressure! Specifically, kidney damage can lead to a failure to remove salt and water from the body, and this also causes blood pressure to increase. BUT it just so happens that fruits and veggies hydrate your cells, and give your body antioxidants, phytonutrients and fiber — all of which work to reverse the conditions leading to hypertension! Three fruits and veggies in particular show a strong correlation to controlling blood pressure. If you’re looking for a magic button, give celery juice a try. Full of the good calcium and silicon, it repairs ligaments, bones, and tissues. It’s high in beta-carotene, and magnesium, and iron which help nourish the blood (beta-carotene, magnesium and iron are also often recommended supplements for sufferers of High BP, arthritis and anemia). In one study, drinking 16 oz. of fresh juiced celery every morning for a month raised natural HCL levels in the gut, and found: “[celery juice] has the ability to dislodge calcium deposits from the body, be it in the joints, etc. and holds them in solution until they can be eliminated safely from the kidneys”. A natural diuretic, celery flushes toxins out of the body, which reduces inflammation. So, if you’ve read this far, celery is calling your name. This goes to show there is a level of repair, cleansing and healing happening in the body at a cellular level. Pomegranate juice is rich in tannins, possesses anti-atherosclerotic properties, has anti-aging effects, and potent anti-oxidative characteristics. And, as you probably already know, antioxidants have been shown to reduce blood pressure. The study concluded that pomegranate juice is convincingly a heart-healthy. Want Some Other Great Choices? (See my blog for individual articles about each of these fruits and vegetables). Let’s get personal. Of all the benefits I’ve received from juicing, my blood pressure improvements have probably been the most unbelievable . . . and the most life-saving. When I started juicing my blood pressure was often 200-something over 120-something. It was so high that one day my dentist refused to treat a painful cavity (because filling it might have caused a stroke). Today, my blood pressure measures at about 120 over mid-seventies. A few years ago a buddy from high-school (Randall Stanton) died of a stroke — at the age of 43. 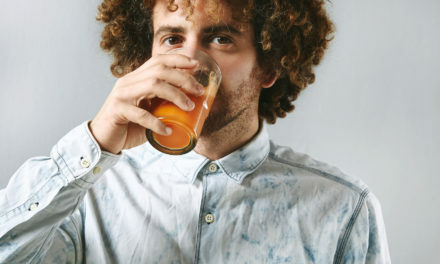 I can’t help but wonder how close I cam to joining Randall, and wish that I could have told him then what I know now — that adding juices to his diet may have saved his life. I’m not saying that juicing can diagnose, treat or cure any disease (hat-tip to the folks at the FDA), but if you or someone you know has high blood pressure, I encourage you to read the literature closely, and decide for yourself if regularly juicing could benefit you. 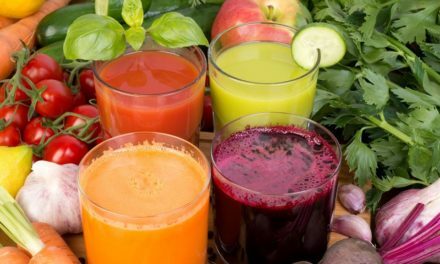 PreviousTypes Of Juicers: Cold Press vs Masticating vs Centrifugal Juicers: Which Is Right for You? 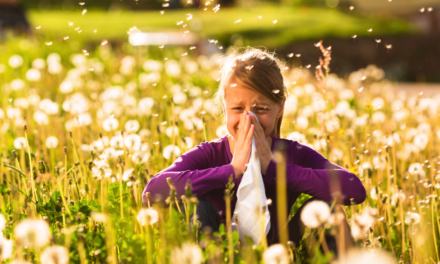 Can You Really Reverse Inflammation-Caused Diseases?